Tom Clancy’s Rainbow Six Vegas 2 is already under development and will hit the shops next March, Ubisoft announced. The game is under the care of the company’s Montreal studio. 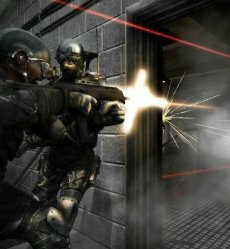 The terrorists game is on again, and so tactical shooter fans have the chance to shoot their way, to do the good deed and pose as heroes. According to Ubisoft, the upcoming game will include 13 new maps, two new adversarial modes, more rewards, and an enhanced matchmaking system. The armory has been updated with 11 new weapons, as well as new camouflage, clothing and gear, all three ready for deep customization. And speaking of customization, players are promised that they will be able create their own identity that persists through both the single player and multiplayer modes and progresses along with them. There’s plenty of room to progress, as Sin City is back and bigger than before, featuring new spots and back streets. The s single player mode can be turned into co-op mode at any time, just by jumping into the game. Such turns will not affect the story, as both the single player maps and storyline were created with co-op in mind, says Ubisoft. For example, every map has multiple entry points. Last but not least on the list, the AI has been improved. Terrorists are equipped with thermal vision, night vision, and shields and a multitude of varying tactics and they will use all of them when necessary. You have been warned. 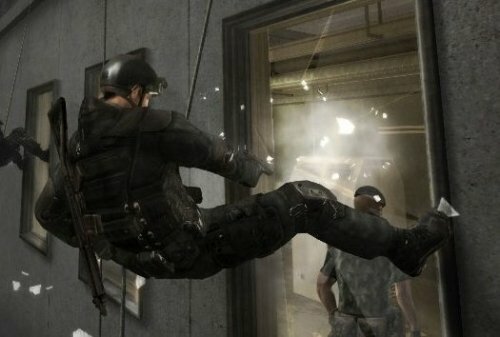 Tom Clancy’s Rainbow Six Vegas 2 will be released on PC, PlayStation 3 and Xbox 360.